We believe in rewarding our loyal and royal customers. Become part of the King’s entourage when you join our Loyalty for Royalty programme. 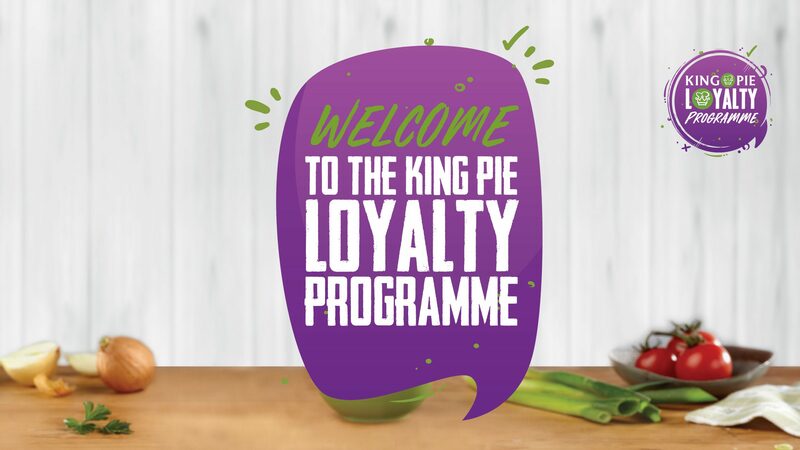 Collect and earn crowns which can be redeemed for a delicious King Pie or anything you like in-store! For every rand spent at your favourite King Pie store, you’ll be rewarded with 10 crowns. When you spend R90 rand or more a month in-store, look forward to a tasty large pie the following month, on us. Join today! Believe us, it’s worth its weight in gold. For more information watch the below video!